December 2012 is Doomsday, at least that is what a lot of people believe will be the end of the world according to the Maya calendar. There are some cities that are seeing people flooding in because of their historic or esoteric values. They feel these are safe havens. 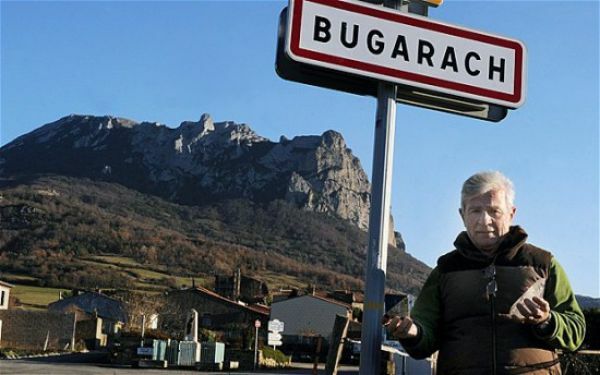 A French farming village of Bugarach is one of those many places. It is said that this site is the parking lot for aliens. I hope they paid up in advance. They say that when the time comes these aliens will come out from under the ground and rescue those around them as the world is destroyed. It might sound like a fantasy or far out story, but to the villagers at Bugarach it is gospel. They believe in this so much that the Mayor Jean-Pierre Delord has informed the regional authorities of their concern for mass population to their village in December 2012. He believes that with the internet and the time soon coming that there will be many who will seek shelter in his village during this time. The army just might have its hands full. I guess if you were planning on moving to Bugarach, cross it off your list and burn with the rest of us. Learn Something Fun: The Mayan Calendar starts 3113 B.C. and ends December 21. 2012.
wat if it really does happen..
And they say people have free will and can't be easily manipulated /facepalm. It must feel really warm and fuzzy to be a retard. Just as the calendar you have on your kitchen wall does not cease to exist after December 31, the Mayan calendar does not cease to exist on December 21, 2012. This date is the end of the Mayan long-count period but then -- just as your calendar begins again on January 1 -- another long-count period begins for the Mayan calendar.